YouTube Is Closing tonight…Don’t Worry this is just an April Fool message from Google. You can too view this video in YouTube Official Blog. Video from Official blog says YouTube was started to find the most popular video. They are now closing the 8 year video submission process tonight and declaring a winner. Today at 9 a.m. PT, April 1, when Google and YouTube will begin announcing the “Best Video” nominees. You can watch the nomination video on YouTube Live Channel. Google is now coming with a new technology called as Google Nose. Google Nose is a new technology where you can smell the search results. Google Nose will have SMELLCD 1.8+ which is a LCD with high-resolution compatible for precise and controlled odors,Android Ambient Odor Detection which will collect smell using sensible mobile operating system and Street Sense vehicles which collected all smell from all over the world. 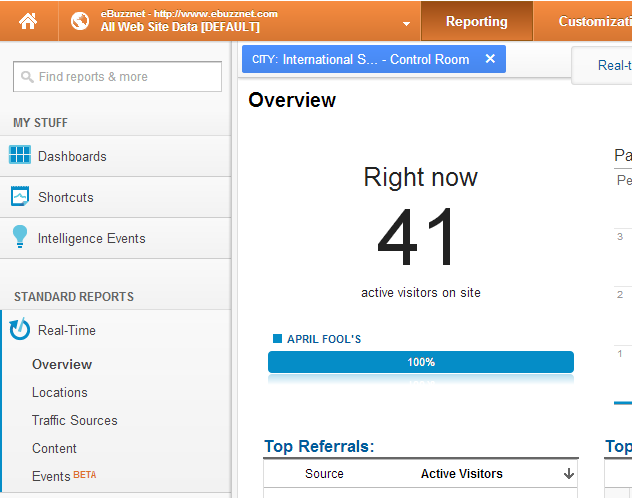 Google Analytic also reports some unusual activity, 41 visitors from ISS chat room. You can also see in your Google’s Analytics Report. All you email,underline,links and everything will be in Blue color, Google Blue is coming now. Watch Video to know more on April Fool’s Day. A Managed Hosting site you have got to check out for yourself! Why is the Tumblr Acquisition Good for Tumblr? Elegant Themes Coming Up with their Best Work Ever – Divi!